Days and times: Saturdays, 11-Noon, starting May 4th, 2019. 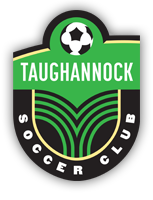 Spring recreational soccer will begin on Sat. May 4, from 11- noon. This program will be for players aged 4 to 12 years old. The program is held on the soccer fields behind the Trumansburg High School during May and June, ending June 29. This is an informal program designed to introduce soccer to new or non-competitive players, continue with basic soccer skills at age-appropriate levels, and to have fun. There are no established teams, but we will divide all players by age group and/or skill level, depending on turn-out: approx. ages 4-6, 7-9, 10-12. Activities will include foot skills, ball distribution and passing, games that encourage using space, and working as a team. Each session will conclude with short-sided games. Registration is active our registration page, and the cost is $35/player. Shin guards and water bottle are required, and cleats and weather- gear as suggested. In general, a session of the Spring Recreational Soccer program will be held — rain or shine — and canceled only for lightning or heavy rain. Most of the time, cancellation will be just prior to (or during) a session, and there will NOT be an opportunity to contact people ahead of time. Because the program is mainly for fun and some children (and parents) will enjoy it only under sunny conditions, in reality, most parents will make a decision on their own, as is appropriate, to cancel the session for their own child based on weather conditions. This is the most workable process we have — given the large number of kids involved in the program and the wide range of tolerances for wet or cold weather. Some or all of the coaches will show up every Saturday, regardless of the weather, and if you come, you will either be informed that the session is canceled, or, if enough die-hard players show up, that the session will be held. We will hope and plan for nice weather for each of the Saturdays during our soccer season, but if bad weather occurs, and you don’t want to make the trip to the fields when there’s a good chance the session might be canceled, you can assume that the session is, in fact, canceled.